New products listing, we are recommend your the best body shaper product - NINGMI Women High-waisted Tummy Control Body Shaper. Comfortable control shapewear, in order to make customers happy, and wear our product with comfortable, we are always choose the best material. This kinds of shapewear is super soft and breathable, with high elastic frabic, make you feel comfortable all the time. Thoughtful design, high-waisted and 4 Steel bone, honeycomb structure and double lining, Provide you with comfortable wear, combine with strong elastic spandex mateiral to improve your tightness of skin, achieve your beautiful shape curve, improve your confidence. Remark: Due to the difference between different monitors,the picture may not reflect the actual color of the item. Compare the detail sizes with yours,please allow 2-3 CM different due to manual measurement. If you have any question please feel free to contact us, we will try our best to provide the best service. Thanks for Your Reading! Don't hesitate to own it! 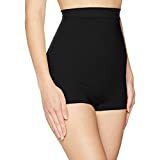 "NINGMI Women High-waisted Tummy Control Bodyshaper" - with soft nylon and elasic spandex, hight resilience fabric material, breathable and comfortable to wear, offering the best care to your skin. It makes you comfortable all the day. 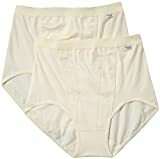 "Excellent Control Knickers " - high-waisted and 4 Steel bone design strong enough to help tighten your waist and belly. Moveover it can helps your fat reduction, get you into a perfect body shape. You can put it on with an easy mind. "Exquisite Control Shorts " - with honeycomb structure design on thigh part, soft and breathable, especially in hot summer. Combine with strong elastic spandex mateiral to improve your tightness of skin, achieve thin thighs and charmingful shape curve. "Form-fitting Control Briefs" - double lining crotch part, high quality frabic, safe and comfortable to wear. Let you keep your easy mind and feel cozy all daylong. NINGMI Women control pants, it allows you to attend any occasion with wonderful curve easily, and helps you to build up your beauty and confidence. If you have any question please feel free to contact us, we will try our best to provide the best service.